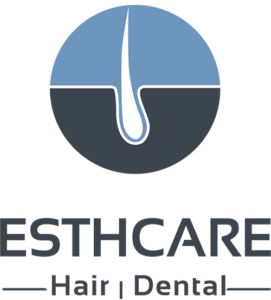 At ESTCARE Hair Clinic we’re experts in hair restoration operations, we exclusively operate FUE hair transplants for our patients. This modern method of hair transplantation is the latest technique and the most effective way of extracting the maximum value out of each donor hair. A- What is FUE ? FUE is the abbreviation of Follicular Unit Extraction, it is the modern technique of hair restoration. FUE is a more advanced method of hair transplants than other techniques like strip harvesting transplantation or FUT (Follicular Unit Transplantation). B- How is it different from FUT? FUE differs from the old hair transplants in several ways. The first is it is noticeable for not leaving any life long scars. Strip transplants or FUT, a method by which a piece of the scalp covered in hair is removed to get hair follicles needed for transplantation, usually from the back of the head, leaves distinctive lateral scars across the back of the head. FUT surgery also has a long recovery time compared to FUE. FUE leaves some initial bleeding, but usually recovery is done within 7 days. However, with strip harvesting, since part of the scalp is removed, it will take weeks for the scars to heal totally. The important thing to understand is that hair transplants can only replace hair from one part of your body to another, they can’t create unlimited donor hair. Your hair is a finite resource, and our doctors take absolute care to protect every hair during the operation. With zero lost or damaged hair. Donor hair is taken from places that are unaffected by hair loss. In men, located in the sides and back of the head and the nape of beard. The one by one follicle are then transplanted to the recipient area. This is why you should not gamble with not to go with the best clinic if you wish to get the best out of your operation results possible.